I have some exciting news to share this morning: I have been offered the position as Healthy Foods Organizer in Big Stone County, Minnesota. The position is administrated by Land Stewardship Project, an amazing organization that promotes good stewardship of the land and sustainable farming and communities. The job focuses on developing and promoting local foods production and infrastructure in the area and working to ensure social justice in the food system. Regular readers of my blog know that I have long been working on these issues in the Vermillion area and in the state of South Dakota as a whole–focusing much of my free time toward these efforts while, at the same time, teaching English online for the University of South Dakota. I’ve often thought, if I just had a little more time, I could help those dairy producers whose contracts were dropped to form their own cooperative. I could devote myself to getting the WIC and senior citizens coupon programs going. I could work more closely with local grocers and restaurant owners and schools to get local foods on their shelves and in their menus. Basically, I thought–if local foods organizing could be my full-time job, think of all that could be accomplished! 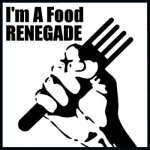 Well, it looks like local foods organizing is about to become my full-time job, and I’m so excited, I might just burst. Another perk of this position is that it puts me two hours closer to my son. It’s in an area where I already have some friends and contacts. I met a few more local producers on the South Dakota side of the border while I was in the area interviewing for the position last Friday–got to pet some gorgeous Nubian goats and Holstein calves, too. I’m confident that the local foods movement in this area can and will do just fine without me–it’s never been just me moving things forward–there are producers and supporters all over this and other areas and all over the state who have done just as much as I have–even more. I’m just the one who never shuts up about it. You may remember the whole itinerant merchant issue with our farmers market and the city a few months ago–but what you may not know is that while I was working very publicly on that issue, a couple of our other board members were writing a $65,000 FMPP grant that I was only marginally involved with. It wasn’t me that secured the current fairgrounds market location, either–that was another member of the market board. I do hope that within a few years, the state of South Dakota or some other local or regional organization can find the funds to do what Land Stewardship Project is doing in Minnesota (and other organizations and states are doing elsewhere). I think it’s coming–it’s just a matter of time. For now and the foreseeable future, I’m going to do my best to achieve an exponential learning curve and apply my skills–and get some new ones–on the Minnesota side. I’m hoping to have at least a little garden prepped there this fall to plant my garlic in while my gardens here are put into cover crop for the time being. And I can’t wait to put my kayak in some of those Minnesota lakes! Congratulations! Will you be based out of Montevideo? We are going to miss you terribly. Thank you for all you have done for our area. One request. Could you please share your focaccia recipe with us before you go? Work that learning curve! 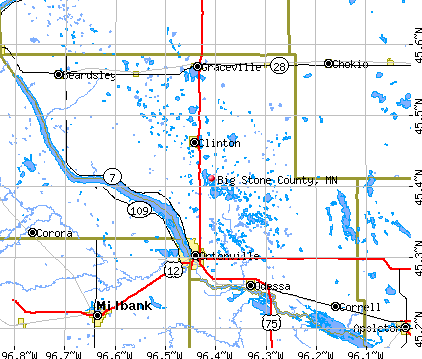 Ortonville looks like a nice town, and Big Stone Lake and Lake Traverse offer all sorts of kayaking adventure. Enjoy! Rebecca, I’ve got good friends in Ortonville who have an acreage. Let me know when you’re ready to be introduced. Kelly–I hear you’ll be back in this area very soon. Let’s talk!